One of the things I love to do while waiting for my bus and/or train is to look at what people are giving away for free on craigslist.org. I look, even when I am not in the market for anything. A few weeks ago I scored big! A home furnishing store was giving away fabric samples and all I had to do was go pick them up. This was a win-win: add to my stash with no guilt of spending unnecessary money. The first project I created with this new lovely fabric was a laptop cover for my work laptop. My laptop is small – a Dell XPS 13 – so I did not have to use much of the fabric. 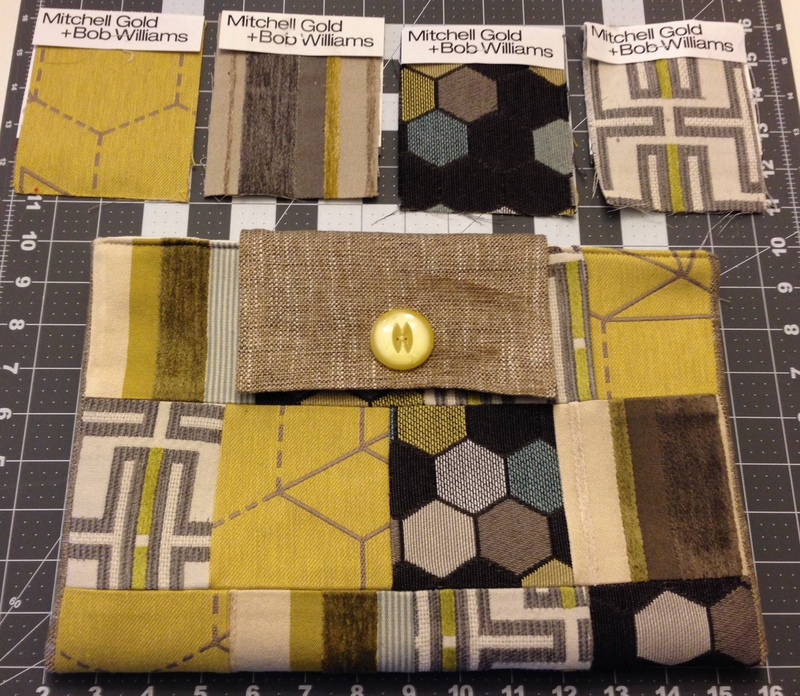 First I picked out several small rectangle samples in a coordinating color scheme and went to town patching them together. Once I had a large rectangle I realized the bag would be a bit too small for the laptop, so I added a 1″ strip of fabric down each long side of the rectangle and use the same fabric to create the flap closure. As usual, I sort of winged the whole project without really taking measurements until I needed to cut the lining and felt and fusible fleece I used to add extra cushion to protect the laptop. After I created the laptop cover I wanted to see what laptop sleeve or laptop cover tutorials were out there that I could have used. Here is great PDF tutorial I found on SewMamaSew. This laptop cover opens on the short side, which on further reflection might work better for me when I go to meetings. This great zippered laptop cover tutorial from nap-time creations has easy to follow directions and I love the outside pocket and buttons. I love to look at tutorials and patterns for great inspiration when creating something new and both of the blogs listed above have wonderful ideas. I am already making a list of all the creative things I can make with this new fabric!